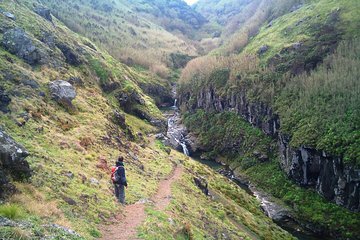 Explore the wilderness of Ponta Delgada on a hike to Ribeira Funda and Furnas. Discover the abundant flora and fauna of the area as you take in the beautiful coastal scenery. Enjoy a delicious lunch along the way and even take a dip in the cool waters after a long day of hiking. Spend the day immersed in nature and see the ‘wild side’ of the Azores. I felt it was an average tour. It would have been more helpful if Hugo, the guide, had let us know more about the terrain on the hike. Some of the inclines on this hike were challenging. However, the hike was worth doing and the scenery and views were spectacular.